You can assign assets (such as printers and computers) to clients in your Web Help Desk system. Using this process, a tech can identify and connect to a client asset to diagnose and resolve an incident or problem. In the toolbar, click Assets. Below the toolbar, click Search Assets. Select the Basic Search tab. 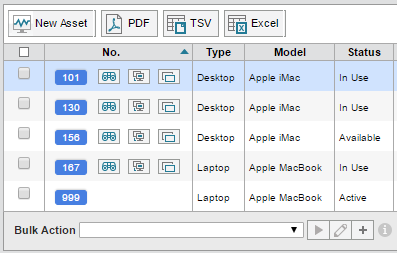 In the tab window, select or enter the appropriate criteria to locate the asset. To locate the asset using a specific set of conditions, click the Advanced Search tab and enter your search criteria. Your results appear in the bottom window. Click an available asset to attach to the client. Click in the Asset Basics tab to edit the asset properties. In the Clients field, search and select the client for this asset. Complete the remaining fields as required, then click Save. The asset is assigned to the client.